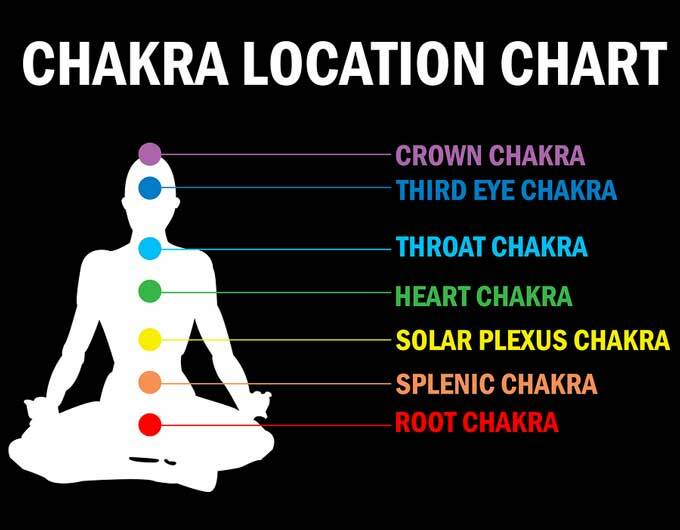 We have seven major chakras that are energy centers located within our spiritual bodies. They are portals for the universal life force that moves our being. Various events, especially those of a traumatic nature, can cause blockage to our chakras. This can have an adverse effect on us. Every experience we have such as a desire unfulfilled, every like, every dislike, creates an energy vortex. The vortex is then held together by your thoughts, “I don’t like this, I reject that, I want or don’t want this or that, I am scared of this or anxious about that”. When our chakras get into that state then it is more than the proper time to balance our chakras. For example, if we are feeling our “first” chakra, the root chakra, located at the base of the spine. When we proceed to balance our chakras there are many factors to take into consideration. We can balance a chakra by using color, for example. The root chakra vibrates at the color red. Put more of the color red into your life—your clothing, accessories, anything you are attracted to. Chakra balancing is very important as it allows the Life Force to flow through you. Interestingly enough, chakras are also fueled by the food that you eat. If a chakra is out of balance, you may want to examine if you are eating or not eating the proper foods that affect it. You may also want to look at your physical activity. Are you walking, running, dancing, exercising enough? This contributes to your chakra balancing as well. A very calming, soothing, and effective means of aligning your chakras is by giving yourself a chakra bath. You may want to put some colored candles around your bathing area, the colors corresponding to the chakras. Gemstones and crystals are wonderful for chakra balancing because each chakra has a definite vibration which can be paired up with its corresponding stone. You may wish to wear the appropriate color of gemstone or crystal on the chakra needing balancing. For example, if needing balance with your heart chakra you could wear a jade necklace near the heart area. You can also use the power of visualization to effectively balance your chakras. Visualize their vibrant colors; see them colorfully spinning, see yourself in a happy state. As you do this you are creating balance. Additionally you can use affirmations. Choose one that is relevant to each and every chakra and repeat your affirmations. Any physical, mental, or emotional situations that we may encounter can and do affect our chakra energies. Nature is always seeking balance and these experiences create imbalances which, in turn, create disharmony within ourselves. If you balance your chakras, you will see the energy in your life begin to change—to the better, of course. Follow the basic examples cited here for balancing your chakras and you will find that in doing so you will balance your inner spirit. A more harmonious life to you.